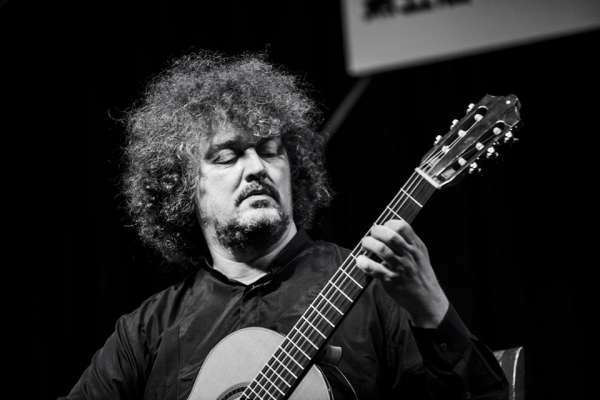 Zoran Dukic and Sanel Redzic at the Changsha Guitar Festival in China. 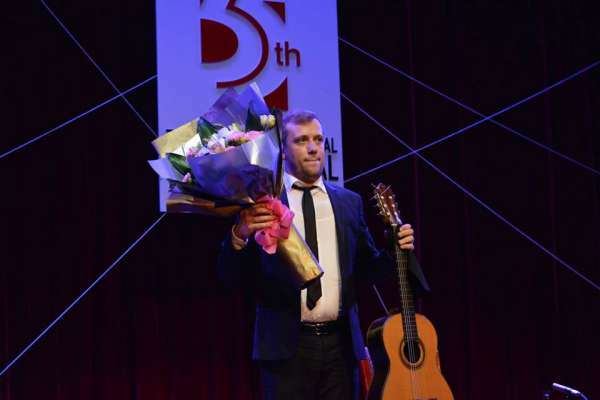 The Changsha Guitar Festival is an annual, international guitar festival which aims to promote world class guitar music in China. This Summer I visited the festival for the second time, taking advantage of the opportunity to personally deliver a guitar ordered by the chairman of the festival, Qingxiang Li. 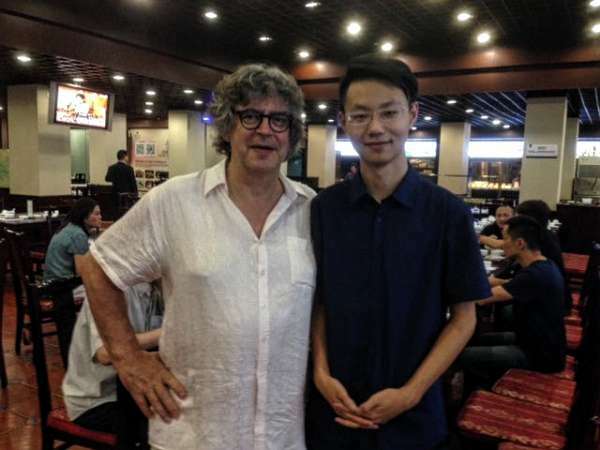 At the festival of which Xuefei Yang is the artistic director, I bumped into Kuang Junhong. He is a student of Manuel Barrueco now and happened to have grown a lot since the last time he visited us. 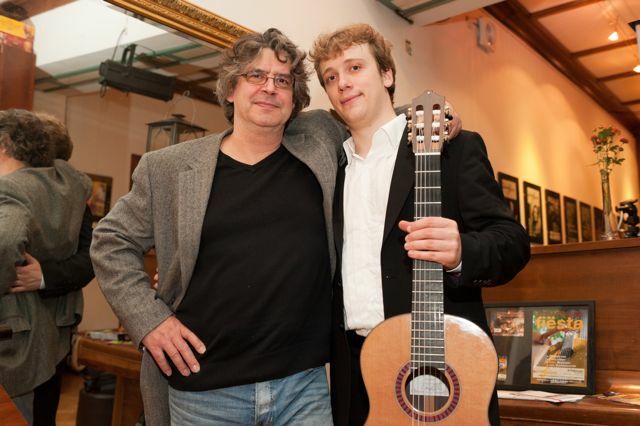 Along with the series we organized a competition for guitarists under eighteen years old. First price was being the support act before the concert of Sanel Redzic. 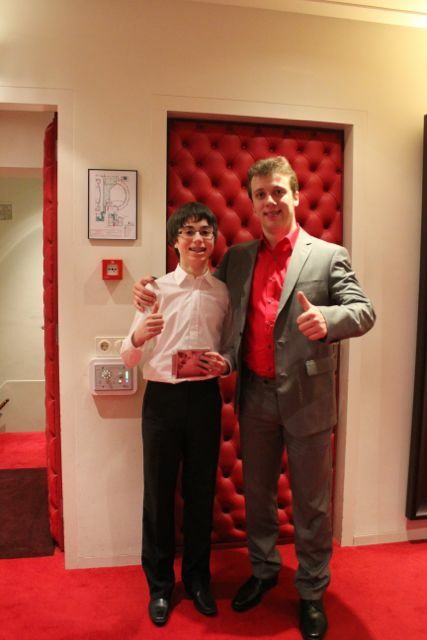 Fourteen year old Ruben Silva Kas won the competition. In this picture both players, back stage, after the concert.